When it comes to daily skin care regime, I prefer products that have the least chemical content in them. After I started using Biotique products, I loved how the essence of each product bespoke of ayurveda goodness. 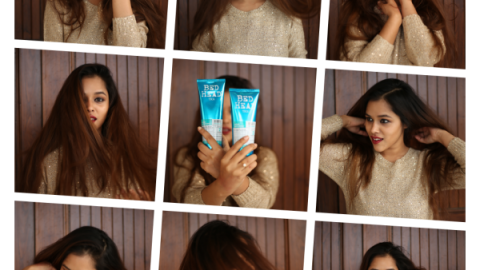 Not only they have succeeded in making few of the best skin care products but hair care too. To start with the first product in my daily care regime is Biotique Bio Green Apple Shampoo and Conditioner. It is majorly for oily hair and scalp though I have just the opposite hair condition. Due to quite a lot of chemical treatments like hair color, I have a drier scalp. But the best thing about this product is that not only does it helps in adding shine to your hair but it also keeps intact that natural pH balance of the scalp. Due to ayurvedic ingredients it is suitable to use daily too. Second comes Biotique Bio Apricot Body Wash. I totally loved this 100% soap free refreshing gel. With the goodness of Apricot it cleanses the skin well without dehydrating it. It helps to remove the impurities in a best suited way. Also as apricot naturally is one of the most nutritious, rich in vitamins, especially vitamin E and A it is well known for it’s revitalizing powers. 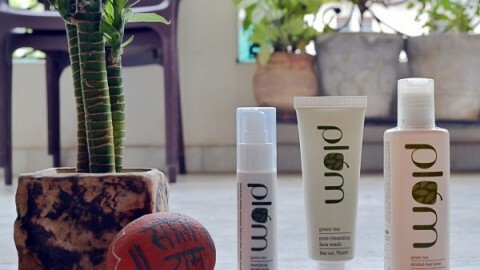 It’s an ideal moisturizer and it helps it attaining skin clarity and suppleness. This Biotique Morning Nectar is my second favourite. With the blend of pure honey, wheatgerm and seaweed it helps in replenishing the lost moisture on the face. Also it leaves a soft fragrance onto your skin making it feel more refreshed and blemish free. Nectar that comes from a flowers itself has healing properties and when combined in a moisturiser it surely helps in giving you a flawless skin. Lastly in my daily regime comes these soap bars that have heavenly fragrance. 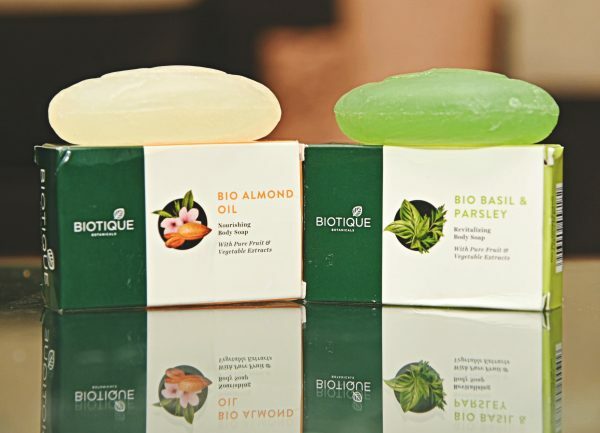 Biotique’s bio Almond Oil soap bar helps in nourishing your skin and keeping that moisture intact for long. It’s best suited for people with dry skin issues and on the other hand is Bio Basil & Parsley which helps in revitalising your skin and let go of all the skin impurities.